By Spanky, March 15, 2018 in New Member? Welcome. You have a couple great first ships. Sure some rookie stuff but honestly mine didnt look that good until I built four or five. Your doing great. Ask anything, the more questions the better. If you want especially personalized help start a build log and post photos as you go. Then we can chime in and help with questions on the next steps. Welcome aboard, Spanky! I like your ships. They have character. 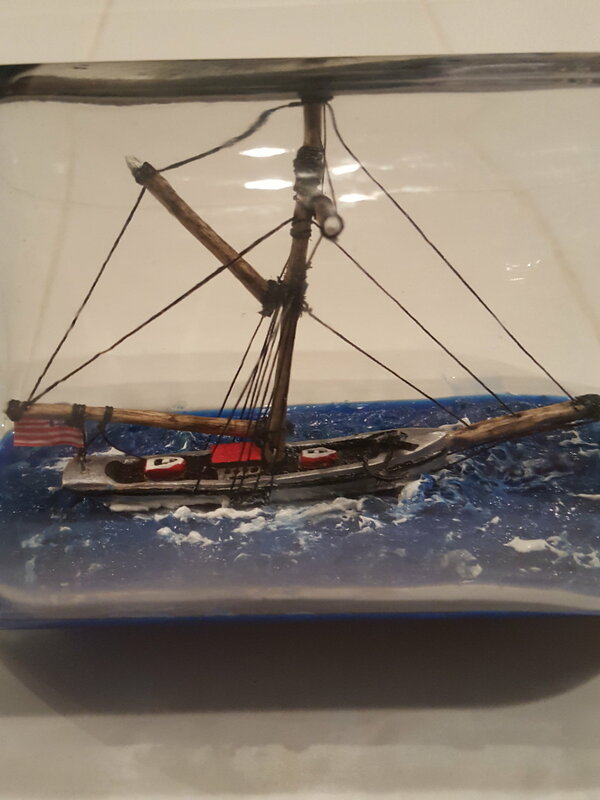 Nice little ship Spanky.Good to have you aboard.I also started with the book 'Sailing in Glass' many years ago. To be totally honest, my first 3 ship in bottle models went straight into the trash bin, so your's aren't at all bad for first models! Once you have decent materials and a little experience, absolutely the best teacher IMHO, you'll really be hooked. My first one, started in about 2002, is still is not in the bottle. Its been in, shipwrecked, out again, repaired, modified, dropped, masts broken, more repairs and modifications, still undergoing a refit, but will be in the bottle soon because there isn't much wood left under the paint. All a learning curve as you develop your own techniques. You can get most things at stores like hobby lobby and Michaels. Hobby town will have the green mats. They are nice but not really needed its more a preference. I used a tv table in a closet for a while and did just fine. As far as materials. Bass wood is a good place to start. I also like bamboo for masts, yards and bowsprits. Just get skewers from the grocery store. I like fly tying thread for rigging. It doesn't stetch so the mast rake stays where you want it. I use paper for sails. Nothing special printer paper works fine. As far as bottles do two things, look every where, thrift stores, antique shops, grocery stores, hobby stores. Just keep an eye out. 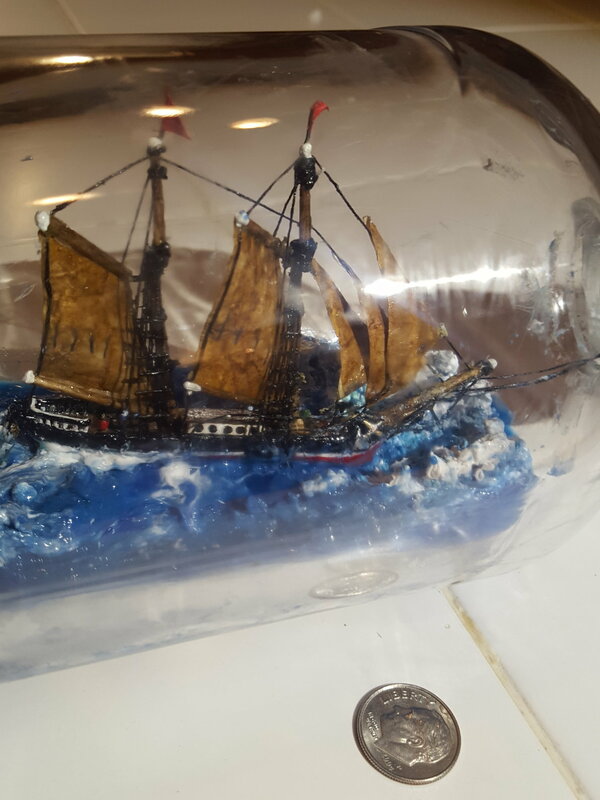 Second tell people you build ships in bottles. You don't even have to tell them your looking for bottles. Just say you build and theyll send tons of bottles your way. It's a funny phenomenon but it works out. Go for it. I made that build log specifically for beginners to follow. 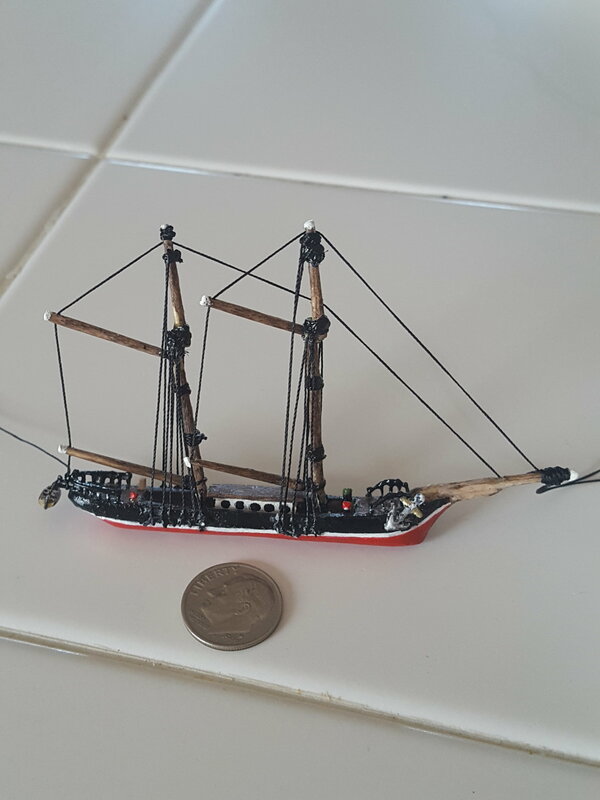 So I started on the sloop but was not happy with my results. I shaped her wrong initially so she is pointed at the bow, and waaay to small at the stern. I did however have a light bulb go off in terms of construction. 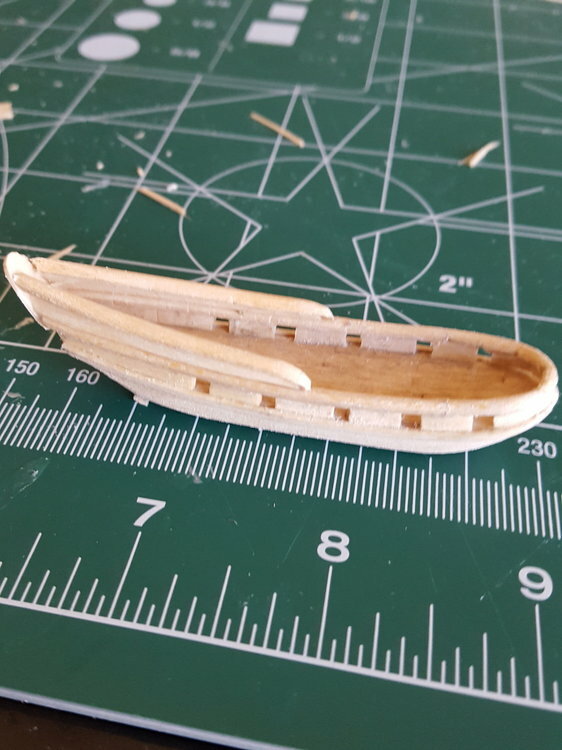 Rather than do another sloop before the Chiefs log is finished, I started a Galleon, pirate ship type that I am going to start a log on shortly here. Wow. That looks great! I better get move on so you can finish. Yeah the same principles apply to any scratch build. You got the process down. From here you can build anything. Let me know if I can improve my instructions any. Thanks, instructions were awesome. Don't hurry for me. It'll be waiting in the wings. Really nicely done! Love your first two models too!